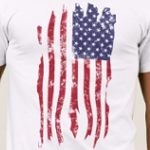 A vintage American flag is tattered and distressed in this design. 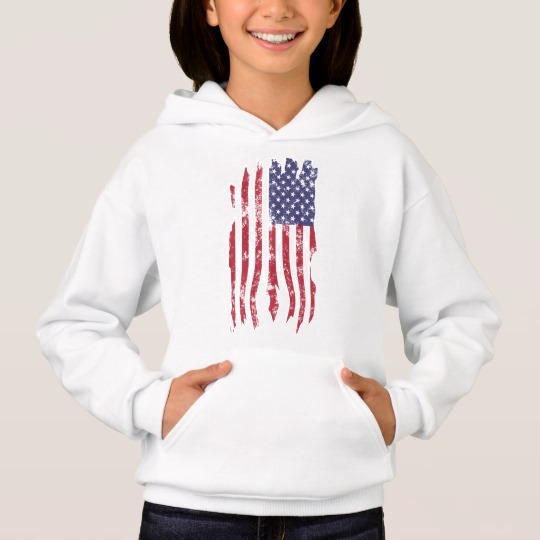 The red, white and blue appears to be faded and torn. The US flag is hanging side ways.